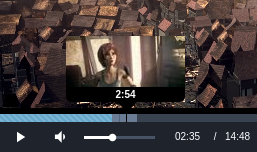 Homemade player Uptostream custom-built video player have every features you would want : 4k videos, multiple subtitles and audios support, fullscreen and cinema mode, preview, hotkeys... you name it ! UltraHD streaming Uptostream keeps your video at top quality, and our large server network allows you to enjoy up to 4K videos smoothly. 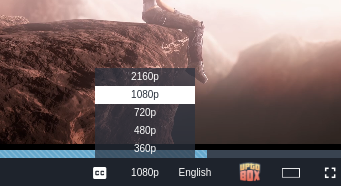 Just click play, and enjoy the instant high-res streaming ! Subtitle and MULTI-audio support If the video has subtitles or multiple audio tracks, you can select your favourite language and enjoy the video as you like it ! You can also load a local subtitle, if you wish. Smart player The player remembers your position in the video, what quality and language you chosed and volume level. No time to finish a video ? Just come back later, everything will be as you left them ! Mobile friendly Want to watch your video on the go ? No problem, the uptostream player work perfectly on smartphones and tablets, with every features working as usual. And a lot more... We are constantly improving the player, adding features and listening to your suggestions. 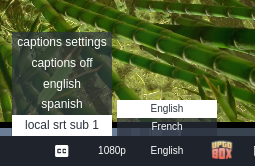 Local subtitle and hotkey support was added recently after you ask for it !